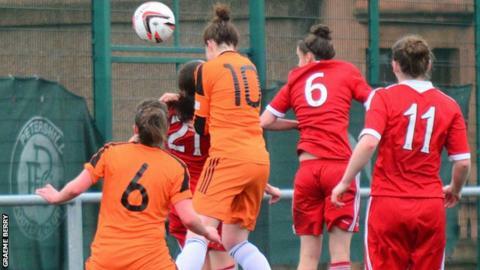 Glasgow City maintained their two-point advantage at the top of the Scottish Women's Premier League after their sixth win out of six. Suzanne Lappin scored both goals as City beat Aberdeen 2-0. Closest challengers Rangers beat Queen's Park 4-1 while third-place Hibernian were 1-0 winners over Celtic. Spartans had five different scorers in a 5-2 defeat of Buchan and there were 1-1 draws between Forfar and Inverness, and Hamilton and Hutchison Vale.